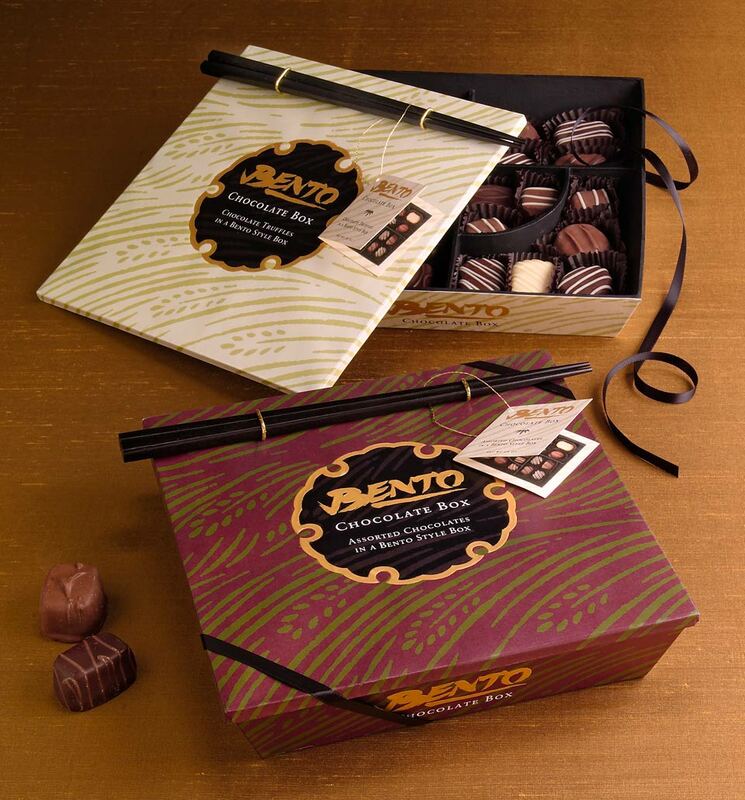 Bento Chocolate Box represents a new concept in chocolate box packaging: individual chocolates are packaged in a bento-style box and eaten using chopsticks. The design of the package’s logo is based on the techniques of Japanese calligraphy with letterforms that resemble traditional brush strokes. The design of the package uses patterns and design motifs found in traditional Japanese design as well as a color palette that give the packages a traditional feel. The target audience for the packages consists of specialty food lovers who appreciate novel design in food packaging as well as those looking to give a food item as a gift.